You may recognize Kristen Keogh from her 10 years in front of TV cameras, but her life began in a much different setting. Kristen grew up on the outskirts of Surprise, Arizona with no bright street lights and no paved roads. Imagine the type of place where dogs don’t wear leashes, the stars sparkle at night and it takes 45 minutes to drive to school. That’s how life started. Kristen holds a degree from Arizona State University’s Walter Cronkite School of Journalism and Mass Communication. 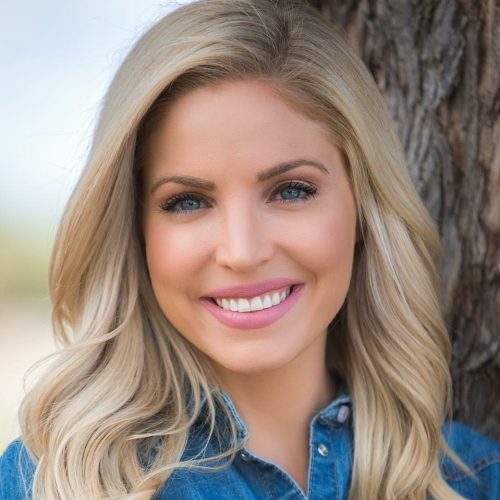 Her passion for sports guided her into a journalism career as she joined the entertainment teams for both the Arizona Diamondbacks and the Arizona Coyotes becoming a cheerleader and in-game host. After college, she took a trip to Dayton, Ohio to report on sports and anchor a morning newscast. Kristen returned to Phoenix to join the Fox 10 team in 2011. She began forecasting weather, fueling her love for nature. Kristen got a chance to get into politics in 2014 and spent some time as the press secretary for Arizona Attorney General Mark Brnovich. She quickly missed her role as a weather forecaster and moved to San Diego to predict the weather for ABC 10 News in Southern California in 2015. Now back home in the Valley, Kristen is the weekend weather anchor and co-host of the show Cardinals Locker Room on NBC 12. Her career puts her in the midst of the action, but Kristen’s favorite times are the calm moments captured in nature. Here with Her takes you on her journey to finding beauty and serenity. When she’s not working, Kristen can constantly be found on the mountain. So far, Kristen’s favorite destinations include Fossil Creek Wilderness, Zion National Park, Beavercreek in Colorado and, of course, the red rocks of Sedona. Kristen lives with the bladder disorder Interstitial Cystitis. She hopes through this journey, other people living with debilitating conditions and chronic pain will find encouragement and hope. Kristen believes nature has a healing ability that led her to living a very normal life, although she still deals with symptoms and continues to hope for a cure. If you have questions for Kristen, want to collaborate or have an idea for a post, please leave a note below!